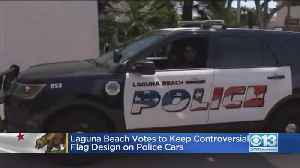 The red, white and blue will stay on Laguna Beach police patrol cars. The decision followed a debate. 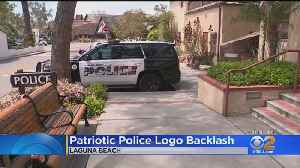 Some people wondered if it was even appropriate to place an abstract version of the flag on patrol cars. 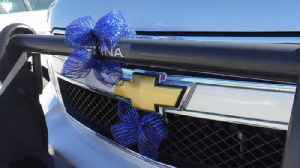 Some people said the flags were not appropriate for the police cars. 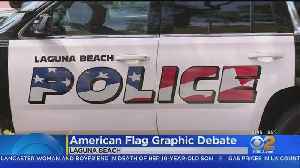 A decision to affix an American flag graphic to the side of freshly painted Laguna Beach police cars is dividing residents who are alternately praising the image as patriotic or panning it as too.. 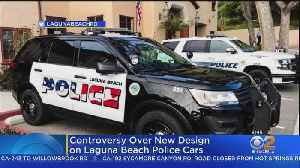 The use of the American flag on the new police cruisers has stirred up some strong emotions. Hermela Aregawi reports. 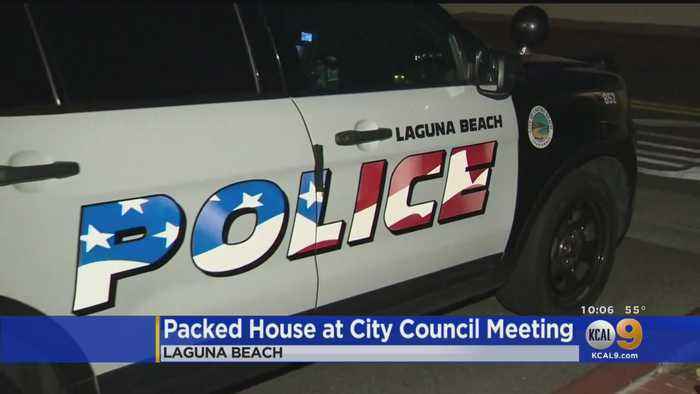 Decals emblazoned with the American flag that have been placed on the side of Laguna Beach police patrol vehicles are sparking some discussion in the Orange County oceanside town. 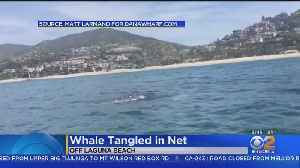 It's not clear if the NOAA will be able to help the whale. Peter Daut reports. 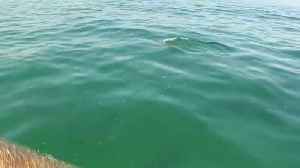 An adorable pod of 6 Bottlenose dolphins off the coast of Laguna Beach decide to swim along with a paddle boarder. 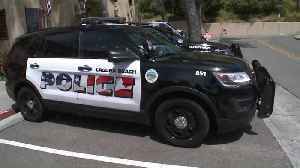 The Long Beach Police Department patrol cars will now have more than just blue lights.